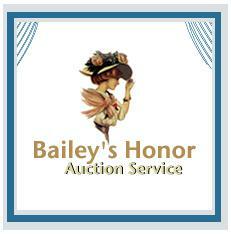 Bailey's Honor is a full service auction company that has been serving the public for over 20 years. Auctioning antiques, collectibles, estates, collections, real estate, and more. The last of the Mericle Collection bottles, More Pearson RR Collection, Lighting and items from the Mericle homestead, stoneware, fire department, police, military, and nautical items - 400+ lots!